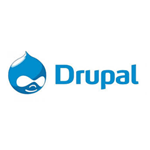 Drupal is one of the leading website content management systems. It makes the creation of different types of websites really easy and users don't need any developer knowledge to get started. Take your Drupal website a step further by making it multilingual. How? Simply integrate with Localizer using just a single line of code and you can start serving your content in multiple languages to your visitors. How can Localizer make Drupal multilingual?